destination and has a number of ski areas in close vicinity to hop on over to. For those looking for a more relaxed city with easily accessible ski resorts to base their snow adventures, then Otaru might be the place to stay. Otaru Canal is the most popular tourist spot in all of Otaru. Visitors are often captivated by the nostalgic sight of stone-built warehouses lining the canal. At night, the stone footpath adjacent to the canal is lit up by gas lamps, reminiscent of the Meiji era during the westernisation movement in Japan. The stone warehouses capture the light of the lamps and cast a reflection across the mirror-like canal at night. The magical night view of Otaru harks back to the city’s past as a thriving place of trade. Until the Edo period, Otaru was a small fishing town. The development of Hokkaido in the Meiji period saw the small town grow into a city with a significant presence. Along with the official development of Hokkaido, towns such as Sapporo needed access to Honshu, the main island of Japan, for commodities and resources – this is where Otaru Port played a vital role. Sea routes connected Otaru to places such as Europe and Sakhalin, whilst the establishment of a rail route to Sapporo made freight services by land possible. With trade routes on both sea and land, Otaru became the main port of Hokkaido and, in turn, saw banks and businesses flock to the town to set up offices and raise capital. 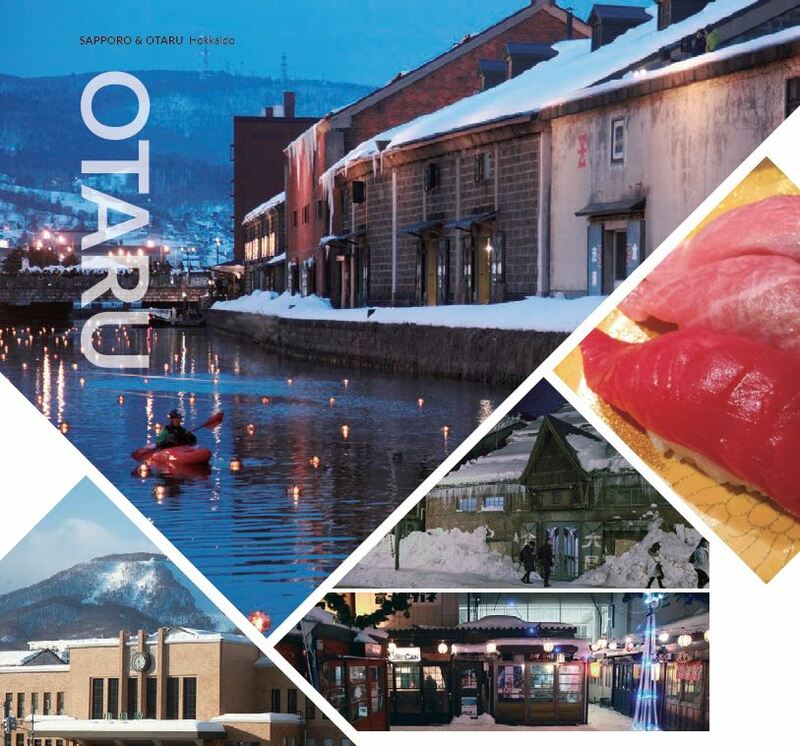 Otaru was thriving with so much business at the time that it earned the nickname, “The Wall Street of the North”. The merchants of Otaru held significant power at the time and influenced not only the markets in Hokkaido, but overseas as well. During the glory days of Otaru in the late Taisho period, the Otaru Canal was constructed. Part of the coast was reclaimed as land to create the 40 metre wide, 1,140 metre long canal, before close to 120 warehouses made of stone were built alongside it. Nowadays, many multi-storey buildings, such as the Otaru branch of the Bank of Japan, still fill the city like they did during more prosperous times. A trip around Otaru to soak in the sights of buildings and railways that were constructed in days gone by will set you on a nostalgic adventure to remember. Together with the shift towards modernisation, cars became the norm and the population of Sapporo exploded, forcing Otaru to lose its crown as the central business district. Sapporo took over the economic throne and Otaru now sees visitors flock to it for its charms as a tourist town. The warehouses lining Otaru Canal are now used as tourist facilities and house establishments such as restaurants and glass-making workshops. Lights illuminate historical buildings at night, whilst rickshaws and retro-styled buses roam around the streets as the city works hard to preserve and maintain the historical buildings that help to boost tourism. As a port city, Otaru is well-known for being blessed with delicious seafood. Otaru Beer, on the other hand, is a popular local brew worth a taste or two. If you are a gourmand looking for good food and drink, then make sure to put Otaru on your list. The city is also known as a town of glass and music boxes, making it the perfect place for souvenir shopping on days away from the ski slopes. February marks the arrival of the Otaru Snow Light Path, an annual event which sees the snowy streets of Otaru majestically lit up. Otaru Canal is also spectacularly illuminated during the event, so make sure you book your tickets to see this magnificent sight in all its glory. Kiroro Snow World is known for receiving the most snowfall in Hokkaido. The constant snowfall in the area means that the snow is always fresh, prompting skiers and snowboarders from all around the world to flock to this ski resort in search of the world’s best powder snow. The cat has been let out of the bag and Kiroro Snow World is the talk of the town. At the base of the mountain is the Mountain Centre Facility and the Sheraton Hotel, which is connected directly to the ski area. 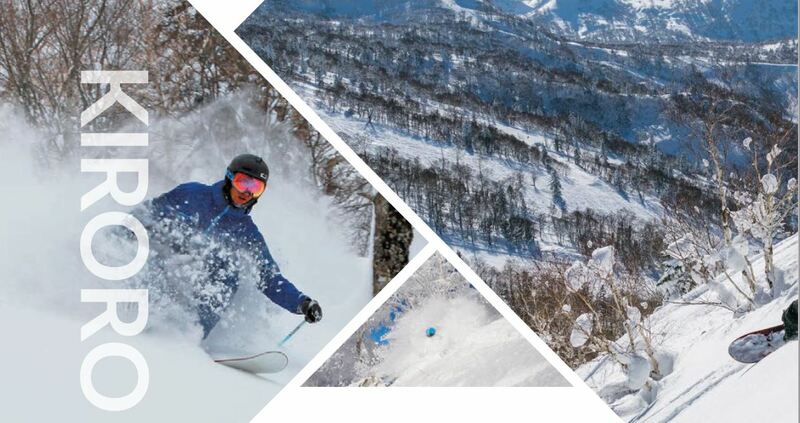 Approximately 2 kilometres away from the ski slope is the Tribute Portfolio Hotel, the closest fully-serviced resort hotel to Sapporo and bigger than the Sheraton in scale. Both hotels are excellent and offer a wide range of facilities. There are also a number of great hot springs in the area, so you really cannot go wrong with either choice when choosing accommodation in Kiroro. Visitors staying in Otaru or Sapporo will find Kiroro Snow World a welcome ski resort at a convenient 40 minutes away from Otaru and 1 hour away from Sapporo. Whilst many skiers travel directly to Kiroro from New Chitose Airport, I believe it is a complete waste not to stay in Sapporo or Otaru if you have already made the journey over to Hokkaido. Another suggestion would be to spend a few days at one of the hotels in Kiroro during a long stay in Hokkaido to take advantage of everything the resort has to offer. 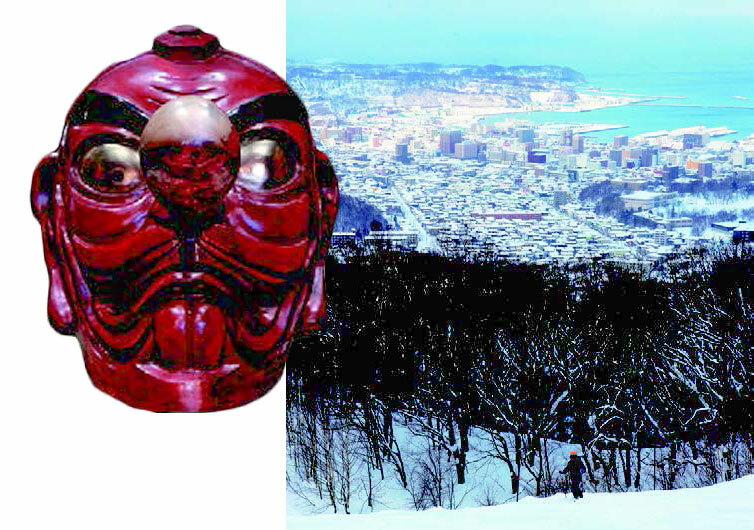 Mount Tengu (Tenguyama) is a ski area located behind Otaru and can be seen from the town. There are a number of attractions in the area for those who have no interest in skiing including: the observation deck on the top of the mountain that has earned a 1 star listing on the Michelin Green Guide Japan; the Hananade Tengu-san, which is a large statue of a Japanese demon with a long nose, said to grant the wishes of those who rub its nose; the Tengu Museum, which houses a collection of different tengu masks from all over Japan; and the Otaru Ski Museum. This ski area is a typical local slope and can be easily missed due to its small scale. Many visitors are unaware of the fact that Mount Tengu was the first place in Hokkaido to introduce ski lifts to the area. It is also where Otaru locals go to earn their stripes – skiers who are able to conquer the slope in one run are considered bonafide skiing experts. The courses at this resort run down steep slopes and can be challenging even for the most experienced of skiers. Of the various courses, the Dynamic Course, nicknamed “the Tengu Wall”, is the most unforgiving of them all at at heart-stopping 42 degrees steep. This course for experts is a joy to master after a night of heavy snowfall. Otaru is known for producing a number of Olympic athletes and Mount Tengu is often used as the training grounds for these elite skiers and snowboarders. With a reputation for producing world-class athletes, the Tengu Wall is sure to capture the hearts of advanced skiers and snowboarders alike. A visit to Mount Tengu at night is also recommended in order to see the beautiful night scenery in the area. Whilst the tengu is a Japanese demon known for its long nose, the jury is still out as to why Mount Tenguwas named as such. 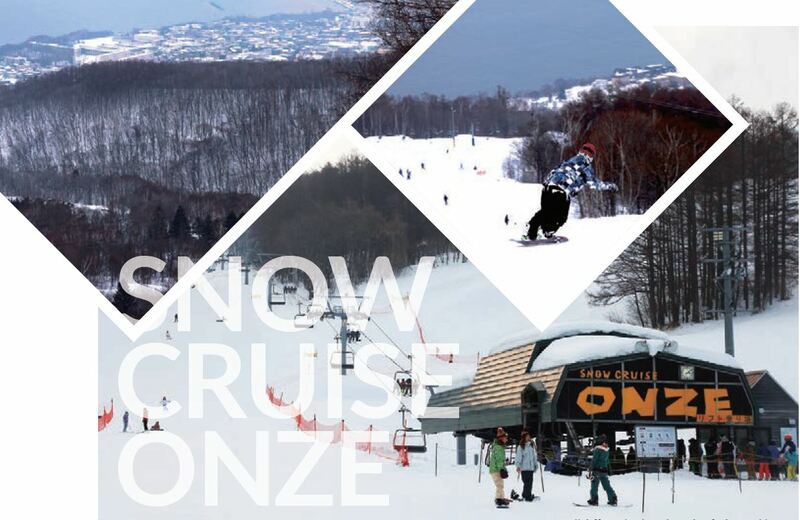 Snow Cruise Onze is a ski resort located 20 minutes from Otaru and 30 minutes from Sapporo by car, placing it approximately mid-way between the two cities. This ski resort is unique in that it gets particularly busy at night due to its nighttime courses staying open until 11:00 pm. The biggest drawcard of this resort is its location. With the ocean right next to the ski slope, skiers racing down the slope feel almost as if they are diving into the sea beyond the mountain. This ski resort is popular amongst locals for the ability to enjoy the beautiful night views with nighttime access available on all of the courses. Whilst the ski resort might be a little too small for you to enjoy a full day of skiing, it is a great place to drop by after a day of sightseeing in Otaru or Sapporo. The “Handsfree 4 Hour Ticket” is one of the various packages on offer that bundle equipment rental and resort admission all in one. Snow Cruise Onze is a great resort for a casual ski trip and is worth adding to your list of ski slopes to visit in Hokkaido. If you happen to find yourself in Otaru, then I highly recommended you take the 30 minute train ride over to the little town of Yoichi. Despite being a small town of only 20,000 people, there are a number of old ruins and other spots to make for a relaxing sightseeing trip. The most famous of all of the tourist attractions in Yoichi is none other than the origins of Japanese Whisky itself – the Nikka Whisky Yoichi Distillery. Japanese whisky has gained recognition and high praise around the world in recent times, with the Nikka Taketsuru 17 Year Old Pure Malt taking out the World’s Best Blended Malt Award at the 2018 World Whiskies Awards (WWA). The Taketsuru brand has now racked up a total of 8 international awards. The Nikka Whisky Yoichi Distillery was founded by the father of Japanese whisky, Masataka Taketsuru in 1934, with the goal of producing authentic whisky in Japan. Taketsuru travelled to Scotland on his own to learn the intricacies of producing whisky, fuelled by his unwavering desire to find his own whisky utopia. He finally settled on a small town similar to Scotland with cool, humid weather and fresh water with clean air – Yoichi. The heavy stone walls of the distillery capped off with a red roof makes it look almost as though it was taken directly out of a Scottish town. The distillery continues to produce authentic whisky to this day and offers highly popular free tours to give visitors some insight into how their whisky is produced. Whilst guided tours are only offered in Japanese, the historical distillery area is free for visitors to walk around with English descriptions on exhibits providing fascinating tidbits of trivia. There is also an English app available for download, so language should not pose any issues. Along with free whisky tastings, the distillery also offers visitors access to the museum and the residence where Masataka Taketsuru once lived. Make sure you travel over to the distillery by train since drinking and driving is strictly prohibited.